As usual I am standing in the airport and waiting for my flight home to Bucharest. I just finished my first holiday this year. 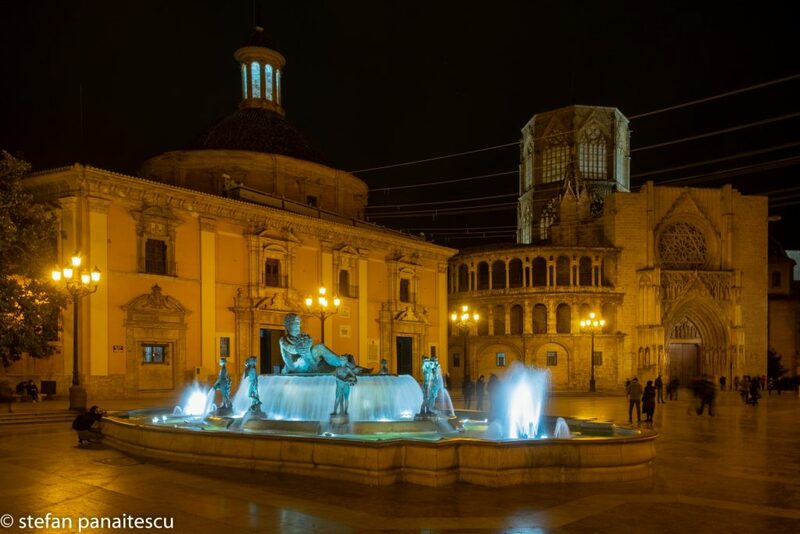 3 days in Valencia and Cuenca. I had an amazing weather, a weather that surpassed even my expectations. 2 days with 21 degrees Celsius and one day with 17 degrees. Not bad for the end of January. With these articles from Valencia I will change a bit the things on my blog. I will detail more as the articles unravel and all I have to say for now is that this trip had no major preparations before. I did not look for good restaurants, for the best deal in accommodation and frankly I had no major expectations regarding photography. And I truly think this was for the best. While I am really satisfied with how my pictures turned out I did not spent time researching for places to eat or sleep and I will detail this in a further article. I spent two and a half days in Valencia and half a day in Cuenca and while you could do the same I wanted to write this article for people who are only able to spend one day in this place. I will detail many things in here and also write things for those of you who are passionate about photography. 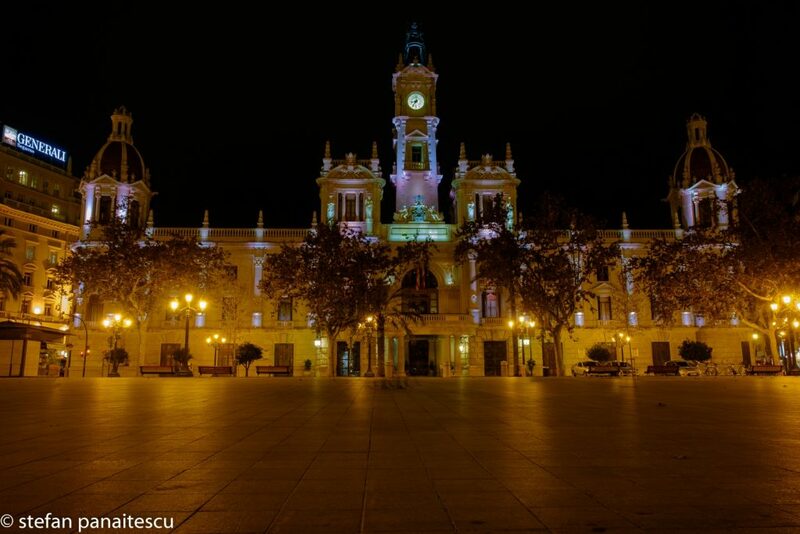 And I will do that because it is a bit different taking pictures in Valencia, especially at night, then it is in other cities. It may be my limited photographic expertise, since I only started taking this seriously about 14-15 months ago so don’t let this influence you, especially if you been shooting for a long time. Doing Valencia in one day means skipping on some things but even if I had a week at my disposal there are things I wouldn’t have tried/visited so in the end it all balances. One thing I really regret was not packing my zoom lens because I truly missed some great street photos due to my short zoom lens. So what I will do here is take you thru a full day in Valencia and pack this thing with pictures, pointers,info and more so you can get the best information possible. At first I wanted to split the article in two parts. One part covering what I enjoyed shooting and one part the route for seeing the best Valencia has to offer. But in the end I opted to write a single, detailed part and pack it with info and tips. Keep in mind the fact that if you shoot or love taking pictures the route will be just a bit different because you want to maximize the golden hours. Before starting just take one thing into consideration. Get yourself a good accommodation. From Valencia airport you can take metro 3 or 5 directly into the city and I strongly recommend a hotel/airbnb near/close to Xativa metro station. This is what I did and trust me, if you only have one day in Valencia you want to be close to the old town. While Valencia has a good metro/tram/bus network it makes no sense to ride for 20 minutes just to be there. So that rules out accommodations near The City of Sciences or Malvarrosa beach. Second of all you need to ask yourself if by having one day only to spend in Valencia is it worth doing some things. I for once ruled out visiting the inside of the City of Sciences. I decided I seen already too many museums and aquariums(Barcelona and Bangkok come to mind) so I only wanted to scroll and take my time walking on that area between buildings. I will detail, as usual, my accommodation but if you find anything near Xativa train station at a good price is a go. So without keeping it long let’s start this. One day in Valencia. If that’s all you got and you are decently fit. 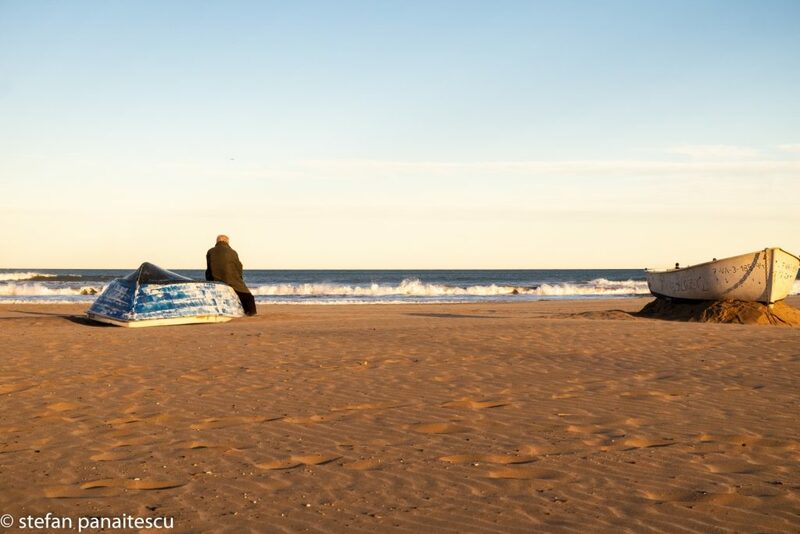 If you love photography and you are willing to work harder for some good photos I would suggest starting your day at Malvarrosa beach. My reason is simple. The city of Sciences, the end of your route, has a schedule and if you want to go there and visit you’ll have to wait for some time before the end of the golden hour and the start of visiting hours. Now I know that many people say that a sunset at Malvarrosa is a must but it can really mess your schedule up, being 30 minutes away from the city center. Personally, even though I visited Malvarrosa twice I would advise you to skip on it. I don’t want to offend anyone but I really don’t think it has anything special that can set it apart from the other hundreds or so beaches I seen in my life. What you need to know is that monuments, churches, important sights open between 10 and 11 hours in the morning. Now depending on your style if you are a landscape/nature photographer start at Malvarrosa but if you love shooting people, buildings start in Plaza del Ayuntamiento. That’s the place you’ll reach anyway after going to Malvarrosa. And here comes your little dilemma. Wake up early, spent 30 minutes on metro and tram to reach Malvarrosa then take the road back and start exploring the city or just get into Valencia’s empty streets early in the morning and shoot some great pictures? A simple photo tour could go from Plaza del Ayuntamiento to Mercat Central, Llotja de la Seda, Santa Catalina with a climb to the tower, the Cathedral and El Miguelete, Plaza de la Virgen, Parroquia de San Nicolas, Portal de la Valldigna, The House of Cats, Torres de Serranos, Moorish Baths, Plaza del Reina. The evening is reserved for The City of Sciences and one last look in Plaza de la Virgen. Trust me, it really is lovely at night. One quick tip for you. If you want to photograph the golden hour at The City of Science make your way back to Plaza de la Virgen after and at 8:30 make your way to Viewpoint. 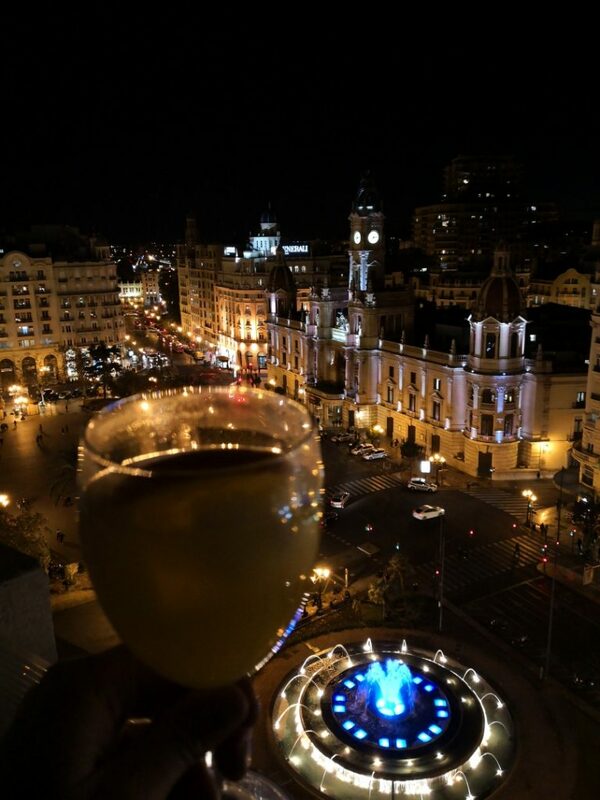 Enjoy a Aqua de Valencia while shooting Plaza del Ayuntamiento from above. Down bellow I will detail my itinerary and explain why I think this is the best route. – Mercat Central. If you ever been to Barcelona I am sure you visited Boqueria, the world renowned market. I personally enjoy La Boqueria more but Mercat Central is great also and offers some really nice photo opportunities. – La Llonja de Seda. 3 reasons. The courtyard while catching some of the building, the main chamber filled with amazing columns and the glass windows. Trust me when I say this. Those windows with good lightning are a match made in heaven for your photos. The entrance is just 2 euro and trust me it is well worth it to see this place. -Santa Catalina. Even if you don’t enjoy visiting churches here for just 2 euro you can climb the tower and snap some great pictures with Plaza Redonda down bellow. Yes, you can visit that place too and snap a picture with Santa Catalina’s tower but it is not mandatory. Climb the tower and enjoy the great views from there. Now this is my reasoning and why I think this will work better for you and your photos. -The Cathedral. Just finished climbing up a tower and now another one? Priced 2 or three euros this is a must too. It is taller than Santa Catalina and offer different views. From here you can snap some good pictures from Plaza de la Virgen before going down there yourself. All in all I strongly urge you to visit the tower and the Cathedral of course. Inside the Cathedral is the Holy Grail and even many will argue on that aspect I am not an historian and for me was just another bonus while visiting Valencia. Small tip for you. If you visit Valencia during the week you should know that on every Thursday at 12:00 near the Cathedral the Water Council gathers and this is a thing that deserves to be seen. I deeply regret missing it even though I was 150 meters away. I missed it by a few minutes. Due to the fact that I did not known about this before seeing the setting near the Cathedral and started searching on the internet for it. Second small tip. While Plaza de la Virgen is beautiful during the day if I had to choose I would pick the option of seeing it at night. This is one place where the public illumination serves the place right and the pictures taken here will look amazing. -Next stop, Parroquia de San Nicolas. While you might miss the building because of its small entrance you will be impressed for sure by the interiors. This place has an amazing inside and I urge you to see it. I don’t usually take pictures in churches so you’ll have to look for pictures on the internet to form an idea. Entrance is 6 euro and I think this is the most expensive ticket I paid in Valencia. -Small bonus again. Make your way to the Portal de la Valldigna after the Parroquia de San Nicolas. Not only is an important yet overlooked destination it can really provide you with a great photo opportunity. This historic landmark marked the separation of the arab and christian neighbourhoods and I think that if you’re into history you will appreciate this place. -And another small bonus. WHOA. I’m feeling like I am giving you much for your time spent reading the article. Head over to the House of Cats. Now I know what you’re thinking. A house for cats? That’s not important. Well, putting aside your photo opportunity I must stress that this is a renowned sight on all Valencia hidden path suggestions. There is only a small walk between places so even if you don’t like it you won’t spend too much time getting there. Just a shot walk from the House of Cats this is another short climb. Pay two euro to gain access and enjoy the view. The photo opportunities here are great ranging from pictures of the two streets splitting near the arch, photographing the perfectly symmetrical stairs, people climbing the stairs, the flag above the tower and the perfect sky or waiting for an airplane(and there are many) to fly over the arch for a great photo. – One more bonus for you. Moorish Baths entrance. Even if you don’t want to enter this place your girlfriend will love having her picture taken by that beautiful door. I went alone so I can only help you with a picture of the door. No girl included. This place too is off the beaten routes but people who are active on Instagram know this for a great photo opportunity. Even though you visited this place earlier before going to the Cathedral you can rest now here and enjoy a truly great horchata. When my article about food in Valencia will be up I will detail this place since I had horchata here every single day of my trip. -One more tip for you if time allows wonder the streets just a little bit and admire the exterior of the Museo de Ceramica. It is amazing. Really amazing. I didn’t enter the place but the outside is just fabulous. -it is time now to head on to the City of Sciences. If you’re pressed on time grab a cab or an Uber and catch the sunset there. I think this is one of Valencia’s most known places, if not the most known, and is high on everybody’s list when visiting this city. If you’re pressed on time get a cab to Plaza del Ayuntamiento and climb the Viewpoint. Its last elevator climbs at 21:00 and from up there is a view that you will love. All this while drinking a glass of wine, a beer or my favorite Agua de Valencia. If you’re not pressed on time go see the Plaza de la Virgen first then end the day in style with a glass while watching Valencia’s most important Plaza. This here is my idea for spending a day in Valencia. Now depending on your style, fitness level, routine, etc. you could leave things out or even add more. Nonetheless I think that this route is great and offers you the best of Valencia while being able to take amazing photos. To be honest I did not have many expectations regarding photography in Valencia but I was pleasantly surprised. Being January and visiting during the week I had so few tourists that I was able to take many clear pictures with no people in it. Or with just a few. A big difference from Barcelona which is crowded day and night, winter or summer. By all means if you can spend two days in Valencia, do it, but if one day is all you got then the route above is perfect. Another great point is that entrance fees are low with Parroquia de San Nicolas being the most expensive at about 6 euros. This way you can see all that Valencia has to offer without breaking the bank. Being a complete article on Valencia it would be hard not to mention that the city can be a great hub for visiting other places. 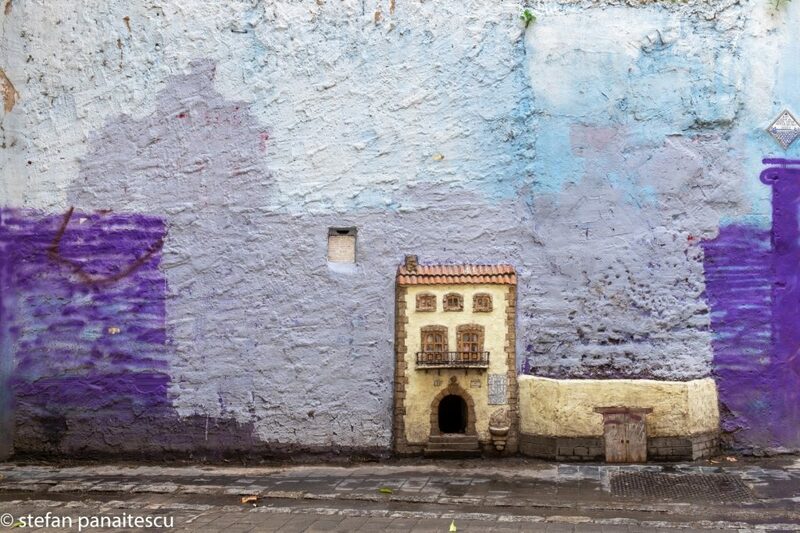 I for one opted for Cuenca, which is an amazing place that really deserves a visit if only for the hanging houses. However you can reach Albufera, Alicante and Peniscola from Valencia among other places so you can choose for yourself how you want to spend the extra days you got there. One good tip comes to mind here: with the exception of Malvarrosa and the City of Sciences which are further away, the rest of sights are very close to one another so you will not need transportation. However if you plan to use the Valencia transport keep the original card and recharge it. When you purchase the first card you will pay one Eur extra for it. Instead of paying one extra euro for each new trip/card you take you can just recharge the original card with 1/2/3/4 or more trips as you need. As I am writing this article on my trip I am sure I will come back to it and add more things for you. What will follow from my trip to Valencia and Cuenca is an article detailing my accommodation in Valencia, a note on food and how my perspective changed during this trip and an article with tips to make your stay better in the city. Until then new articles will follow from my trips to England and Morocco. Also keep an eye on my Instagram account for my latest pictures. Ps: I figured I’d throw in some links to make your life easier while navigating Valencia so here it goes. Ps 2: You’ll have to excuse me for not uploading many pictures but I will post them all on my Instagram account, which I invite you to follow!